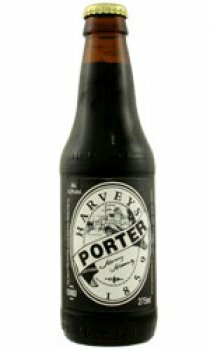 We have taken a porter recipe of 1859 from Henry Harvey's brewing journal and reproduced it faithfully using pale ale malt, crystal malt, black malt, locally grown hops, our own spring water and yeast strain. We have subsequently bottled the beer in both pasteurised and bottle conditioned form. However, each March draught 1859 Porter is on sale for one month only as part of our programme of 'Seasonal Brews'.